The detached chalet, Fernblick, is located only 1.5 km away from the pleasant centre of Kirchberg. It is in a perfect location on the sunny side of the valley, with a stunning view of the surrounding mountains. You'll reside here all on your own, privacy guaranteed! The spacious chalet (300 m2) is divided over four floors and has no less than 10 bedrooms, 7 modern bathrooms, a kitchen and two living rooms. Additionally, there is a wonderful sauna where you can unwind after an active day. At the back of the chalet is a large garden facing south, where the children can play undisturbed. You also have access to a wonderful terrace (facing south) with garden furniture. Kirchberg is one of the most famous skiing villages of Tyrol. 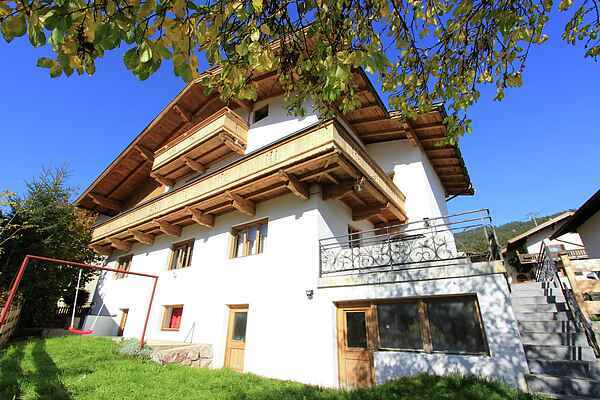 It is in a fantastically beautiful location in the heart of the Kitzbüheler Alps, at the foot of the Hahnenkamm. Furthermore, it is a true skiing paradise, due to the connection with the ski region of Kitzbühel and Westendorf and all the other well-known skiing villages in the area. Kirchberg is also known for its vibrant centre with many après-ski bars. The largest skiing area of Austria is easily accessible. Here you will find Kirchberg, Kitzbühel, Westendorf and Ellmau, with no less than 247 ski lifts in total and 676 km of amazing slopes! All-in-all an ideal accommodation for large groups.